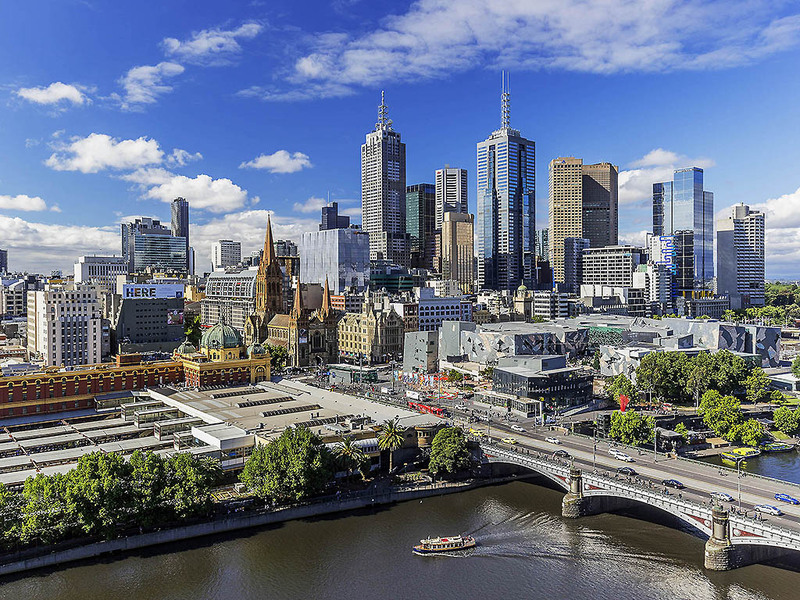 Quay West is ideally located at Southbank & nestled in the Melbourne Arts Precinct. Adjacent to shops, restaurants and bars, next door to Hamer Hall & the National Gallery of Victoria, and a stroll to the sporting stadiums of Melbourne. With fully self-contained suites with balconies, it is perfect for an overnight stay or extended stays. Experience our new mineral pool and steam room along with newly refurbished gym and spa. Enjoy the ambience of Jarrah Restaurant and Bar with outdoor terrace. Situated in Melbourne's Southbank - the city's vibrant waterfront hub - Quay West Suites Melbourne is surrounded by stylish restaurants, bars and attractions, such as Arts Centre Melbourne, Southgate, Crown Entertainment Complex and Eureka Skydeck 88. Offering a range of outstanding apartment-style accommodation in Melbourne's Southbank, Quay West Suites Melbourne is the ideal option for business and leisure travel. This stylish Melbourne hotel features spacious studio rooms, and one, two and three bed room suites, with Superior, Deluxe and Premium options available. Elegantly appointed and beautifully decorated, each apartment is fully self-contained, featuring a full kitchen, laundry, a living area with flat-screen TV & Blu-ray and a private balcony. Toast the end of the working day and enjoy the delightful outdoors Jarrah Bar is the ideal spot to catch up with friends or colleagues for a drink as you sample the extensive food and beverage selection on offer.